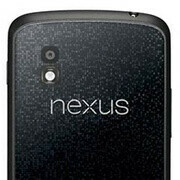 As a great deal of our readers would agree, the Google Nexus 4 is a pretty awesome smartphone. It has the latest version of Android running on top of some very capable hardware and retails at a very reasonable price. However, there's one notable feature missing on its specs sheet, and that's support for LTE connectivity. Yeah, there may be a seven-band LTE radio inside it, as the Google Nexus 4 teardown revealed, but it can't really work with such a network because the device doesn't have the necessary modem installed. But if a handful of reports at XDA are to be believed, some Google Nexus 4 owners in Canada have managed to get the handset running on LTE airwaves. They did this by entering *#*#4636#*#* in the dialer app, which opens a system menu allowing one to tinker with the network settings. After setting the network mode to automatic, the smartphone reconnects with LTE on and seemingly running. This was performed on the Telus network, which uses LTE band 4, but the trick reportedly worked for a Rogers subscriber as well. The video embedded below demonstrates how this Google Nexus 4 LTE hack was performed, and a speed test seemingly confirms the experiment's success. If you are feeling adventurous, try this for yourself and share the results with us in the comments below! HOLY COW!!!! They did it again! Unlocked and LTE. All for 350$. And with the added bonus of S4 Pro and 4.7" screen. Haha, we once again witness the power of geek community. I found this comment about the nexus 4 LTE, so I just copy, paste because I think it is helpful for you guys. ( You can't really say it has LTE as is. It doesn't have an amp, and the signal will be perpetually low (maybe 2ish bars, like you got). That's not﻿ really usable, because it won't be much faster than HSPA+, and it will use up way too much power to be a truly viable option. Users on XDA reports 2 bars LTE whereas an iPhone 5 in the same room got full bars. I think that Google will eventually release an LTE N4, but it won't be the same h/w. It will have a proper amp and get good LTE signal). Well that would be a big slap for LG and Google. I'm pretty sure an LTE version is coming for an extra $100 at some point, or LG simply demanded only the Optimus G to have LTE cause they make more profit off it. If activating it is that simply, it's a massive marketing failure, although they can just simply exclude the antenna for next batches but still. Best news ever? I activated my Nexus 4 Tuesday with T-mobile and I've had nothing but 4G like speeds in my Detroit area. My daily average speeds are around 14 Mbps download and 3 Mbps uploads. I've even had top speeds at 28.66 Mbps download speeds which come and go and have lasted for over an hour. Even if I did this its not like I could even use LTE cause T-mobile doesn't offer LTE at the moment. I think the point should be made to everyone that T-mobile doesn't offer LTE, but it is in the works for 2013. They offer HSPA+42 which is basically 3G times 2 and it has 4G like speeds. So T-mobile subscriber shouldn't bother with trying this tweak! That's nice and all, but it still won't get optimal signal strength because of the lack of a proper amp. Unless you're living right next to an LTE tower, HSPA+ will be a better option. Are you sure about that ....not saying that you are lying but wanted to confirm that it does work on AT&T LTE despite the fact that this AWS 4 Band isn't active ....!!! To my knowledge, AT&T has some AWS LTE coverage. It doesn't have 700 MHz licenses nationwide, so Band 4 is used to fill in those gaps. Now this is revolution Google did in 2012 and this will set standard to mobile phone, $350 off contract phone.....compete with high device. Win Win to customer. It's still nice to see that you are able to use an option for which you did not pay. So looking at the fact that they didn't market it as LTE is obvious. Since it works on select bans and only receives two bars could only be looked at as a plus. Considering you didn't pay for it nor was it marketed to you in that capacity. So it's simply an added bonus, You can take it or leave it . I personally don't see having 2 bars on LTE a big issue, One Thing I would use it for is downloading new larger apps/games in the Play Store or also for updating multiple/larger apps. That's what I currently jump on my neighbors Wifi for , I would jump on it more often (since I am currently on Sprints' 3G network till mid December when they upgrade my city LTE.) but my signal is only viable within my kitchen. Anyways in the end I say cool, Kudos to the lucky Nexus 4 owners for finding an awesome bonus. -All transcribed with my Galaxy Note 2 via S-Pen.